The design and the cheerful print are what make the CleanPicnic blanket such a success. The picnic pattern and the high user value make sure that visitors to the park are happy to receive and use the CleanPicnic blanket. The concept much more than just the blanket. 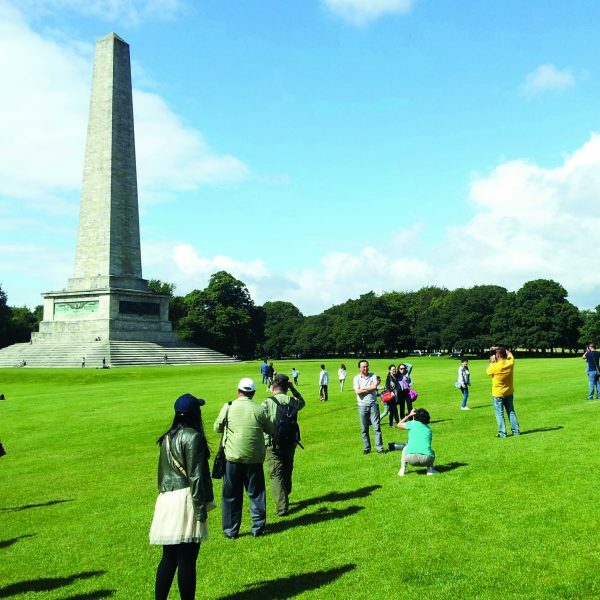 The CleanPicnic blankets are custom-made designs that are given to park visitors by local shopkeepers and park management free of charge. That way everyone helps to keep the backyards of our cities and villages clean. Verheugen had the idea in April 2010. In July he received the patent, and in August a test was launched in Vondelpark in collaboration with Nederland Schoon (‘Clean Netherlands’). Peter Vos, park warden at the time, had not told his cleaning crew about the test. The following Monday they asked him where on earth all those trash bags in the waste containers came from. It had worked, and so they were given the green light. Make cleaning up easier and more fun. 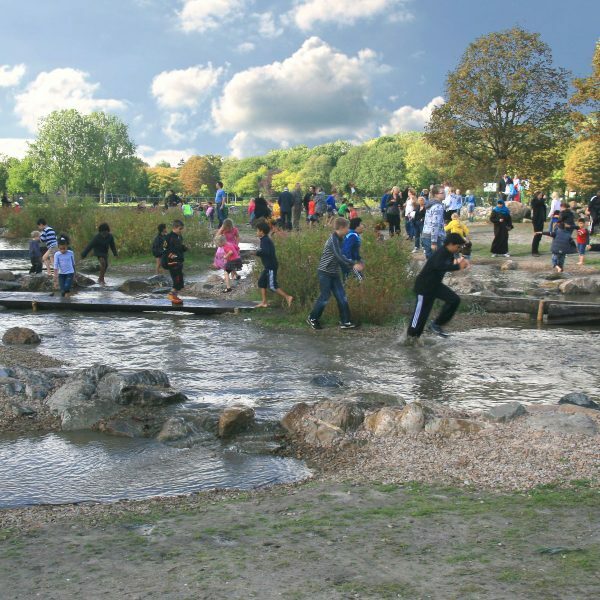 Work together with visitors, local residents, neighbourhood shops and the park manager. Make it free for users. 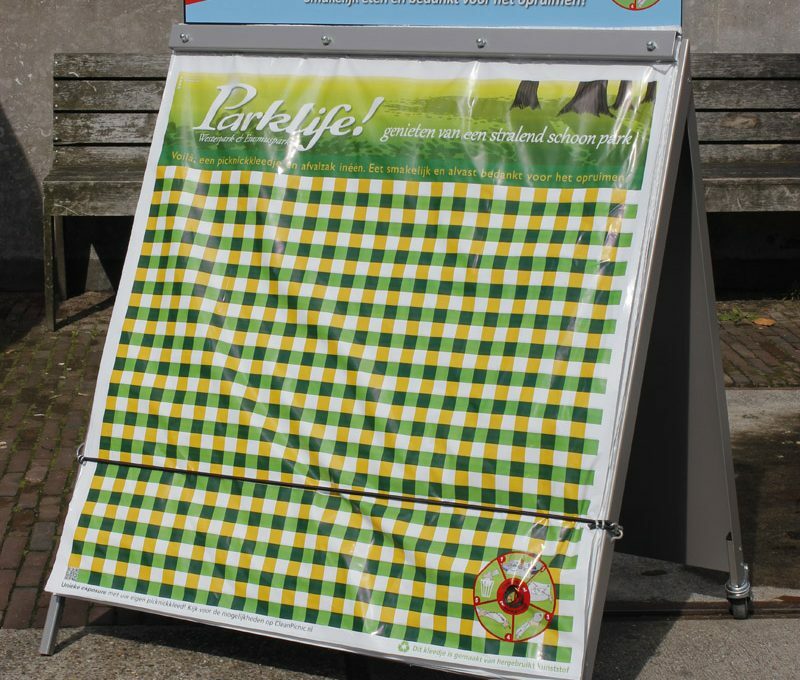 The cheerful look of the blankets encourages park visitors to clean up their own trash. Distribute the blankets directly to the picnicking public whenever possible to limit the amount of waste. If a park has a litter problem and turns to CleanPicnic for help, we’ll gather around the table to discuss this issue at length. Because every park is different and requires an individual approach. Some important questions have been raised, such as: what does the park look like, what kind of visitors does it attract, are hospitality options available, and are there sufficient trash cans in the park? Based on findings, CleanPicnic will present a proposal tailored to the park’s situation. The proposal includes, among other things, the distribution network, the logistics involved in delivering the blankets, the trash bin locations, as well as promotion and publicity. CleanPicnic works on the basis of the placemaking concept. This means that as many people as possible will be involved in the solution: park visitors, residents, neighbourhood shops, hospitality/park entrepreneurs, and park management. The solution and the key to success are in the hands of the people themselves and in a good partnership. In the Vondelpark, CleanPicnic has developed into a successful neighbourhood project that brings together park visitors, local businesses, members of the community and park management. Everyone joins in, contributes and benefits. 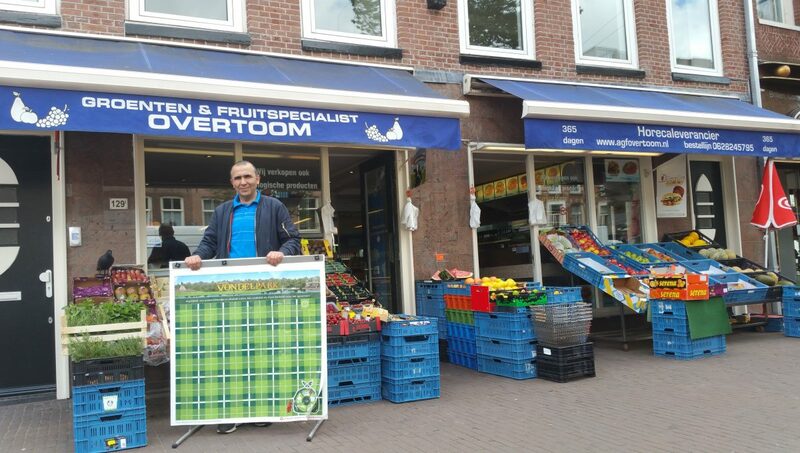 On summer days this year, visitors can pick up the iconic picnic blanket for their trash at one of 20 grocery shops or hospitality outlets in and around the Vondelpark. The Friends of the Vondelpark association is engaging volunteers to hand out the blankets. 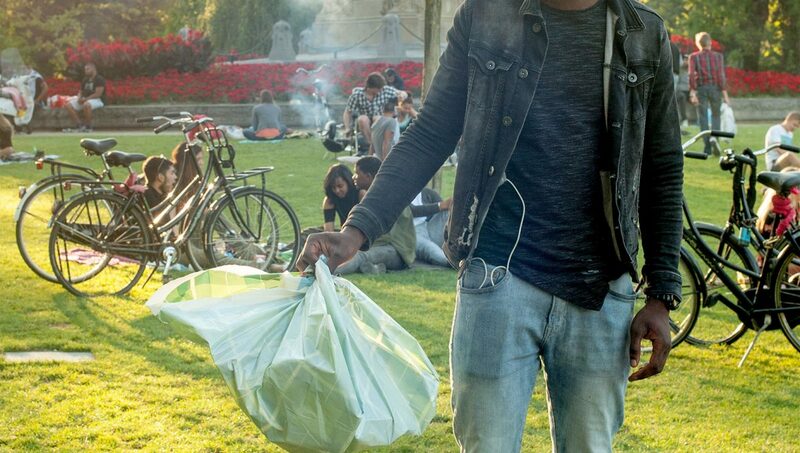 The Amsterdam municipality’s park management department replenishes the stocks on summer days to ensure that sufficient trash blankets are always available for park visitors. We purposely opted for producing the blankets in the Netherlands and not, for example, in China. This enables us to ensure that production is as sustainable as possible in all respects. There are two versions: blankets made of recycled plastic and of plant material, i.e. biobased. The blankets and the production process are in conformity with the Netherlands Commodities Act, which regulates food safety, among other things. This is important because people put their food on the blanket. Meanwhile, CleanPicnic is helping to clean up parks in Amsterdam, Rotterdam, Dordrecht, The Hague, Groningen, Twente, Delft and Leiden. Consultations are also being held with other cities about the introduction of CleanPicnic, and partnerships have been established with Albert Heijn, ANWB and Mentos, to name a few. And there is a new initiative in the making: the CleanPicnic towel, a towel and trash bag in one, intended to also keep beaches clean. The aim is to launch the CleanPicnic towel in 2018. CleanPicnic’s mission is to offer a worldwide solution for litter in recreational areas by making cleaning up easy and fun. Much work remains to be done. All help is welcome.